The discipline of Sound Design is today understood as the art of manipulation, creative ideation, control and optimization of the sound component in the media. The purpose of this activity focuses on the care of the audio quality of multimedia, artistic, commercial and functional products in order to increase communication effectiveness. The practice involves the knowledge of the different functions that the sound and the music play in the different contexts of communication, the problems related to these functions, the tools and strategies needed to address them. 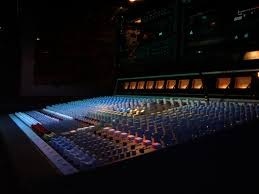 The technology is often the basis of the work done by an expert of this type, including the computer software that can modify and create sounds, the microphone, the recording studio and the mixer. Television and radio programs often rely on experts to develop acronyms; the sound designer often constructs the sounds specially, he does not process them only. Even the production of acronyms, such as jingle advertising can be useful to arouse a memory in the viewer: if the sound sequence will remain impressed in the subject will be associated with the program in question. With the term sound designer (literally from English, sound designer) refers to a person who plays a profession related to the environment of sound and in particular to its creation or modification for purposes of various kinds. This professional figure, born with the advent of new technologies, composes music and sound for different sectors, such as television, radio, cinema, advertising and marketing, discography and videogames. To perform this work, knowledge in music, technology, science and acoustics is required. 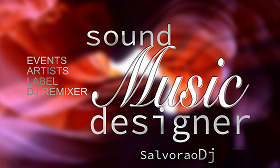 The sound designer is able to design and manage the spatialization of sound in closed and open environments. I remember that my first start was to create a sound story with a PC, the Cubase VST and the Sound Blaster 16, using the MIDI sounds of musical instruments, but mostly touching octaves out of register: notes so acute or so serious as to produce no more the recognizable sound of an electric guitar, but whistles and strange sound effects. Subsequently I started the Sound Design studies in Rome, after which I experimented in my first project of sound design on an animated short film called "Elephants Dream", produced by Blender Foundation and made open source in order to allow to other artists around the web to create their own film based on the pre-existing project. Therefore, downloaded the video file of the film and the dialogues, and completely ignoring the original audio mix, I started from scratch and sounded every aspect of the film: sound effects, environments, steps and other foley, also taking care of the dialogues. I recorded objects of various kinds, manipulating them in order to create a sound for everything: rotating platforms, volatile robots, an antique telephone, large and small gears, through a sound design that could offer a complete final result, to the point of narrating everything the film development without any musical support. The work was then reviewed on the Blender Magazine website, the official magazine of the homonymous 3D modeling program, used to create the film itself. Following this event and bringing other personal sound projects collaborating with Puccio Corona for RAI1 "Linea Blu" collaborating to this day .. Better yet if you have your own website or a profile on LinkedIn to clearly organize your content. If you are a film or videogame professional, you can not fail to have a profile on IMDb.com. It's like the Google of entertainment, to which customers and professionals rely to see all their collaborations listed. Facebook, for example, despite its nature is mainly for personal and recreational use, it is always a social that, if used with the appropriate discretion, allows you to create new contacts, make yourself known in your work through relevant posts and possibly "hook" new relationships and then meet in person. 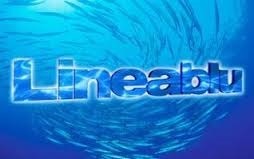 The network is also full of database sites in which to offer their job availability or seek collaborations. • Mandy.com is a portal that I used at the beginning and that allowed me to make the first contacts overseas. • UpWork.com is another reliable portal that connects professionals and employers, taking a percentage of the payment for the work done. • Craigslist.org, among the various categories available, is the section on job offers. Lastly, if you have the opportunity, it is important to find opportunities for direct contact, including film screening, reviews and festivals where you can meet industry professionals, new people and create new business relationships. What work does the Music Designer and Sound Designer do? The first, usually a musician, composes and invents songs, sounds, special effects for cinema, tv, jingle advertising. The second one, works on already composed and recorded music, ranging for all genres (from classical to rock, from jazz to soul, from reggae to R'n'B, from fusion to world music, from lounge to electronics, from lyric to pop, from songwriting to hip hop etc.) and selecting songs or instrumental pieces intended to compose a sound carpet that meets precise requirements. First of all, a certain and original atmosphere, suitable for that environment in that precise location, in that precise moment of the day and the season, with that exact type of design and furnishings, with that particular clientele. Think of an architect who has to renovate or invent an apartment: he must not only think of setting up a beautiful house, but also making sure that he satisfies the tastes and needs of those who will live there. This is my job !!! The DJ producer, not to be confused with the disc jockey, is, in the field of modern electronic music, the one who realizes, arranges and performs musical pieces through electronic instruments and, almost always, a computer.The term "producer" has also become almost synonymous with "musician". The role is not to be confused with the record producer, or the one who invests for the distribution and promotional diffusion of musical works.A producer can also be a composer, if he is able to play a musical instrument and, through the latter, make his compositions ex novo, without resorting to sampling, as well as the opposite (in case a composer is able toto follow all the stages of musical production). 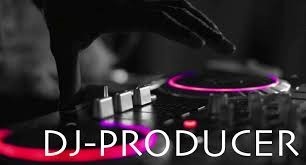 The first to introduce the term producer were some DJs from Chicago, Detroit and New York (between the mid and late eighties) who contributed with the help of various drum machines (including Roland TR808 and 909) to thebirth of house music and its evolution in acid house and electro house, to that of techno and hip hop, composing musical bases for rap. Who is preparing to produce a piece usually makes use of a set of equipment for the synthesis, editing, processing and acquisition of sounds as well as for the arrangement and mixing. All these usually electronic and / or mechanical devices are located in a single infrastructure that is identified as the "study". The pieces composed by a producer can be entirely realized in his own studio. Often, especially for those who practice this art in a professional manner, pacts of collaboration are formed with musicians, singers or simple composers. His duties are not limited to the purely musical composition, he has a preparation sometimes more superficial but more extensive than a composer. In the past, the equipment could be electronic or in some cases of mechanical type (tape readers, keyboards, turntables, but also units for generating effects), but today the distinction is between hardware and software. In the second case, the center of the study is the digital audio workstation (DAW), or as the name implies a digital device that the manufacturer uses to perform complex operations on the audio, up to build an arrangement. The DAW can, for example, be a DAT, but when this symbol is pronounced, it refers above all to the computer, in which the software known as the sequencer is present. Often the sequencer is equipped with synthesizers and effects that can be included in the same through plug-ins (paid or freeware) written in various formats: VST, DirectX, RTAS and TDM (for Pro Tools), and AudioUnit (for MAC). These instruments are played and controlled through the keyboard (s) and controllers that connect to the DAW via MIDI protocol (even if you are now experimenting with other more advanced protocols) and allow you to write scores and record the changes of various parameters. Finally, elements such as synthesizers or "hardware" effects modules can be added, which can be connected to the I / O of the sound card. In fact, in most cases, the studies are made up of "hybrid" hardware / software solutions; on the one hand, in fact, it is possible to find a great audio quality, on the other hand flexibility and virtually infinite versatility, and with the increase of the power of computers, also the possibility to model sounds through extremely complex mechanisms and algorithms such as vocal modeling.